Well, I have been very busy the last few days taking classes about Mac OSX Servers and being a nerd. It has been a lot of fun, but it has also left my brain fried. This picture is taken from Console, which logs every. single. thing. your. computer. does. Yup. 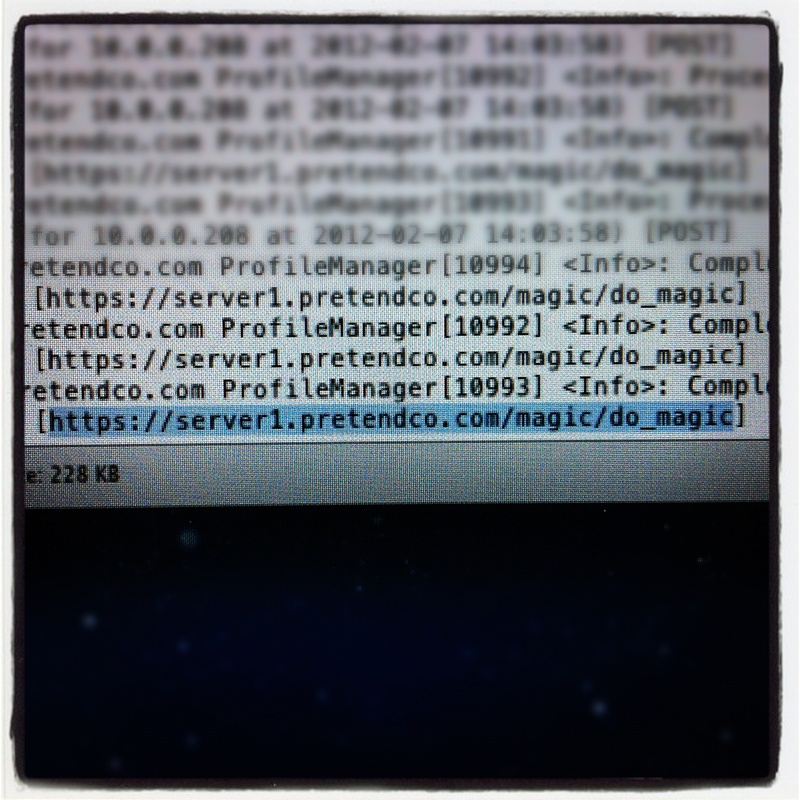 that says “/magic/do_magic”… It’s official folks, your Macs work with magic. So next time someone asks you how your Mac works, you can say “magic” and not be lying. And when they don’t believe you, bring them here and show them!